Pink Floyd are due to release a new album this year, and there are rumours of a supporting tour too. But there is one key element missing: Roger Waters. Waters left the band in the mid-80s and has only performed a handful of charity dates with the band since. The Australian Pink Floyd Show are generally considered to be the best Pink Floyd tribute act in the world, with hits spanning the band’s entire history – including songs from the Waters era. So, it’s probably the closest you’ll ever get to seeing the classic 70s Pink Floyd line-up. Greenwich Music Time is Goldfrapp’s only London show this year. In fact, it could be their last UK show of the year too. Russell Watson, Kerry Ellis, Rhydian and the Royal Philharmonic Orchestra are going to bring all the grandeur of the Proms to a stunning Thames-side setting. Jools Holland’s annual New Year’s Hootenanny’s have become legendary and his show at Greenwich Music Time, where he’ll be accompanied by his Rhythm and Blues Orchestra, promises to be just as lively. He’ll also be joined by ex-Spice Girl Mel C and Soft Cell singer Marc Almond. 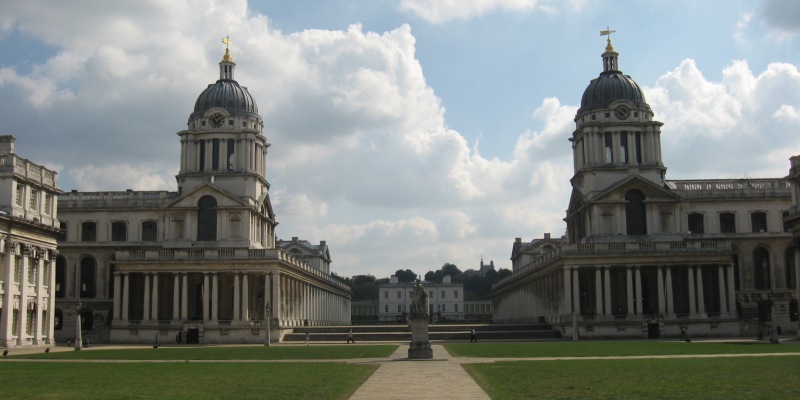 The Old Royal Naval College is a unique musical venue steeped in history. It was designed by renowned architect Sir Christopher Wren and has housed a naval hospital, a training base and various musical schools since it was built in 1712. It’s been in a lot of films too! The lucky winner will receive a front row seat, full hospitality (including a drinks reception, a luxury buffet and access to the exclusive VIP bar area) and a stay in a luxury London hotel, as well as transport. You’ll also get to meet and greet some of the artists performing. So what are you waiting for? Enter before Monday 4th August!